VANKLEEK HILL, ON – Halcyon Barrel House – the off-shoot of Beau’s All Natural Brewing dedicated to mixed fermentation and barrel-aged beers – has announced the release of its second core brand. Gravity Well pours a deep red. Its aroma is noticeably malty with a sweet tang, offering up stone fruit undertones and a hint of wine. Flavours are tart with cherry and wine, and slight alcohol warmth. At the heart of what makes Gravity Well special is the tandem of the acidity playing off the subtle caramel malty sweetness, keeping each other in check. 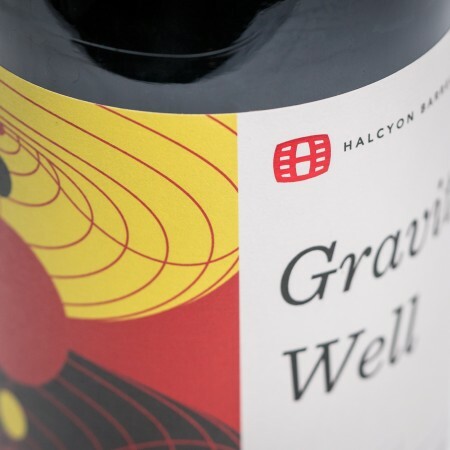 This balanced tart and fruity maltiness in Gravity Well is fine-tuned by Brewmaster Bryce McBain, who has been steadily brewing up and barreling a supply of his red ale since 2016. The barrels, which now number in the hundreds, are ostensibly similar: each held red wine in a previous incarnation, each now holds up to 220 L of beer. But each barrel takes on a distinct flavour when fermented with a mix of different yeasts and bacteria, and aged for various lengths of time. McBain custom-blends each batch of Gravity Well from his in-house supply. Gravity Well will be available in 750 ml cork & cage bottles at the Beau’s retail store and select LCBO locations, bars and restaurants in Ontario. It is planned to be available on an ongoing basis, although each release will be limited.